The Arizona Geological Society has proudly renewed our commitment to our future! We unequivocally support our students at Arizona's three universities through new efforts to stimulate student participation and professional development. We offer two scholarships awarded annually in December; these scholarships are funded primarily through member donations. Special pricing on Field Trips, which is made possible through our Greatest Needs Fund. 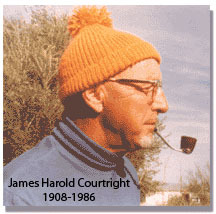 Harold Courtright, former chief geologist with ASARCO, had a life-long interest in mining and geology. During his career, he worked in the Cordillera in North and South America. As an exploration geologist who combined field mapping with other techniques, he was instrumental in the discovery and early development of the well-known porphyry copper deposits at Silver Bell, Arizona and Toquepala, Peru. Following his death in 1986, AGS established the Courtright Scholarship to encourage boots-on-the ground geologic field work in the North and South American Cordillera in line with Courtright's exploration approach. Graduate students working towards a degree in the geological sciences at Arizona State University, Northern Arizona University, or University of Arizona are eligible to apply. Students should be working on a field-related project in the North or South American Cordillera. Preference will be given to proposals related to the study of ore deposits and structural geology, but proposals related to petrology, geochemistry, geochronology, tectonics, and geophysics will be fully considered. Proposals are evaluated on the scientific significance of the proposed research, the tractability of the problem addressed, and the applicability of the research methodology to the problem at hand. United States citizenship is not a requirement. The Courtright Scholarship is intended to assist students with thesis-related expenses, including travel, field equipment, mapping and sample collection supplies, shipping, field-sample costs for petrographic and/or mineralogical slides and laboratory analyses, and other relevant expenses such as data reduction and thesis preparation. A maximum of $3,000 will be awarded on the basis of project merit and project budget requirements. The Courtright Scholarship announcement and application form are posted on this web site, annually during late August. Submit a completed application form, a one-page description of your field project including a budget proposal, and a letter of support from your research advisor to the Arizona Geological Society by late October (see announcement for details). Consideration given to leadership ability as demonstrated within the community or in the academic/research setting. Graduate and undergraduate students who are involved in any geoscience discipline and who are working towards a degree in the geological sciences at Arizona State University, Northern Arizona University, or University of Arizona are eligible to apply. United States citizenship is not a requirement. This scholarship is intended to assist students with academic expenses including, but not limited to, tuition and other school fees, books and supplies, travel, and research and field expenses. A maximum of $3,000 per applicant will be awarded. The M. Lee Allison Scholarship announcement and application form are posted on this web site, annually during late August. Submit the completed application form and two letters of support to the Arizona Geological Society by late October (see announcement for details).